Satisfy your love of seafood with an easy-to-do shrimp recipe. Shrimp and grill already go well together. 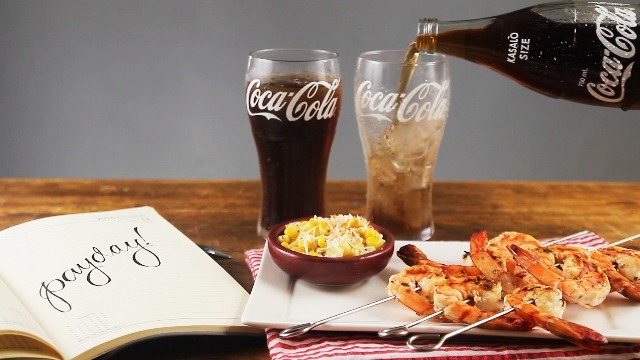 Complete it even more with an ice-cold Coca-cola and you’re all set for a meal time experience worthy of sharing to family and friends. Share your photos online with #TasteTheFeeling. In a bowl, combine: olive oil, calamansi juice, garlic and basil. Season with salt and pepper. Place the shrimp in the bowl and marinade for 30 mins to overnight. Skew shrimps in bamboo and grill for 2-3 minutes on each side. Remove from heat.